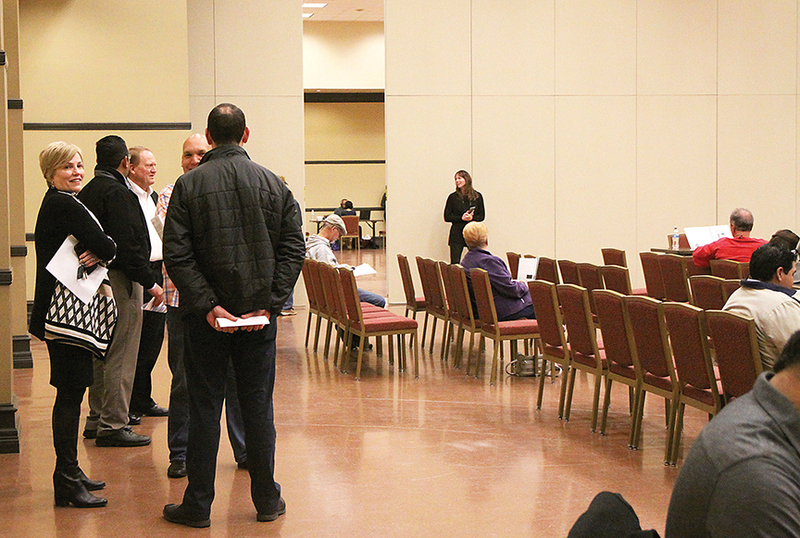 The Federal Regulatory Energy Commission (FERC) was in town last Thursday to host a public comment session regarding the latest updates on two proposed liquefied natural gas (LNG) export terminal projects. Recently, Rio Grande LNG and Texas LNG, both based in Houston, received draft versions of the environmental impact statements (EIS). 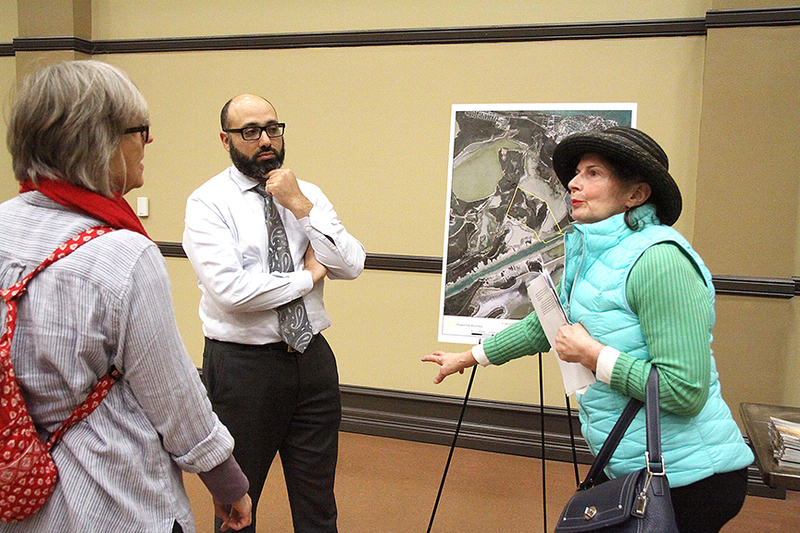 The documents, each over 1,000 pages long, contain detailed assessments of the potential impacts the proposed facilities may have on the local environment. The draft statements came after each company submitted numerous documents to FERC known as “resource reports,” which address a litany of potential environmental concerns, from air quality, to noise and light pollution, to impacts to wildlife habitat, cultural issues and more. 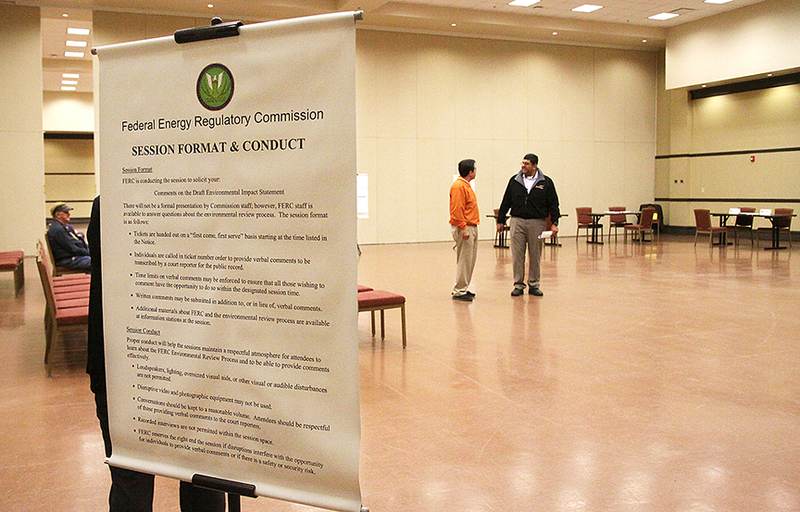 Their issuance by FERC spurred the next step in the process towards construction for each company: a mandatory comment period where the public would have a chance to express their views, as well as share any additional concerns they may have. 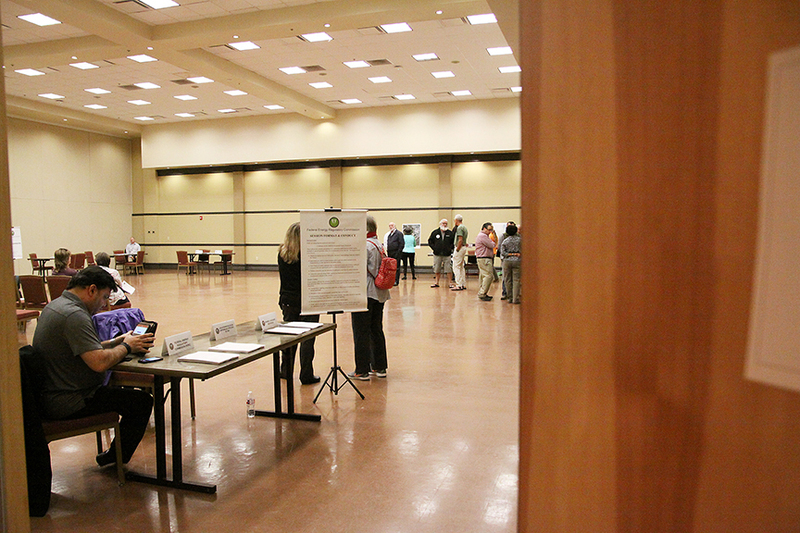 FERC chose to combine the public comment sessions for the two companies in one event held at the Port Isabel Event & Cultural Center (PIECC) last Thursday. 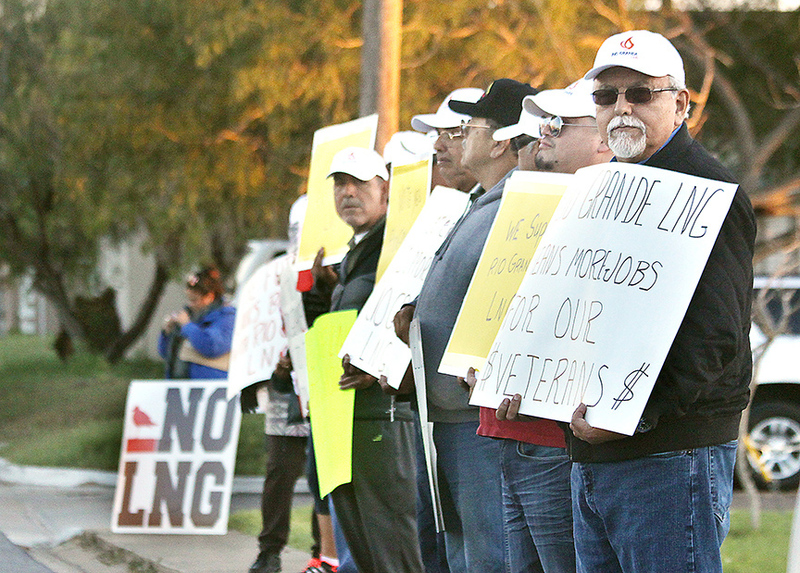 The proposed projects — three in total with the inclusion of Annova LNG, which is also vying to build a facility at the Port of Brownsville — have faced stiff opposition from local residents and government leaders alike since they were first announced in late 2014. 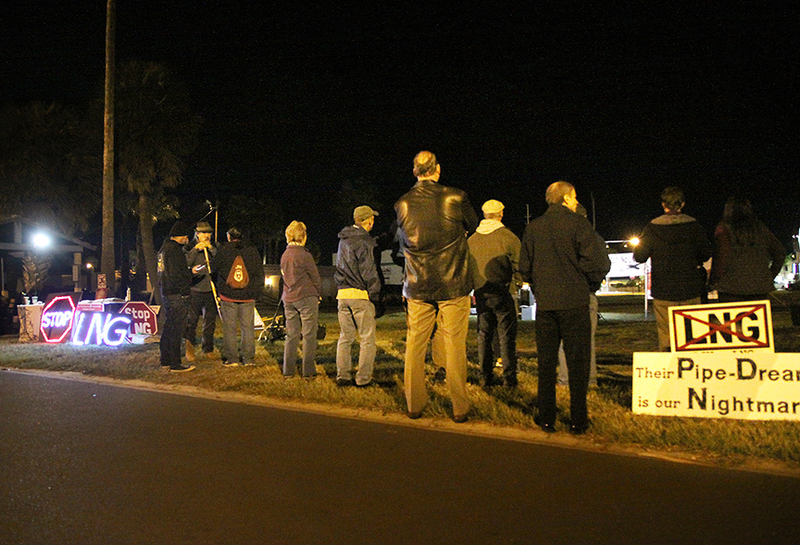 As a result, each public meeting or hearing has been attended by a number of vocal protestors. 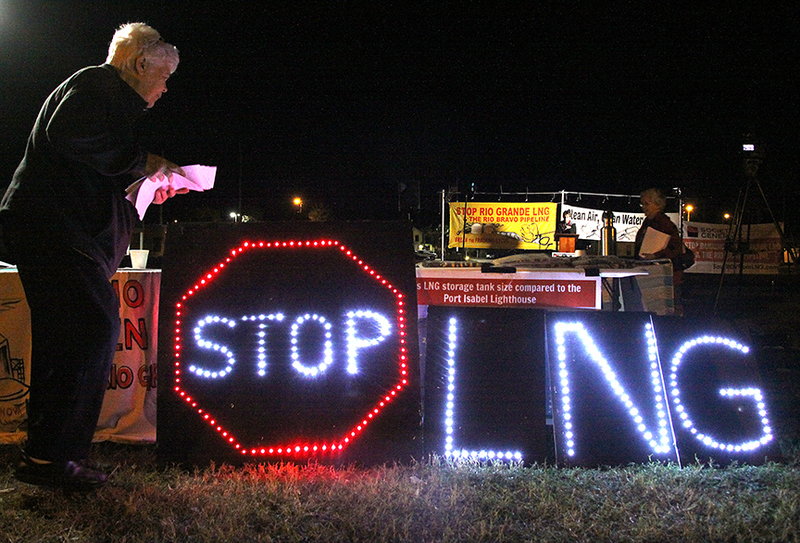 Thursday’s FERC session was no different. 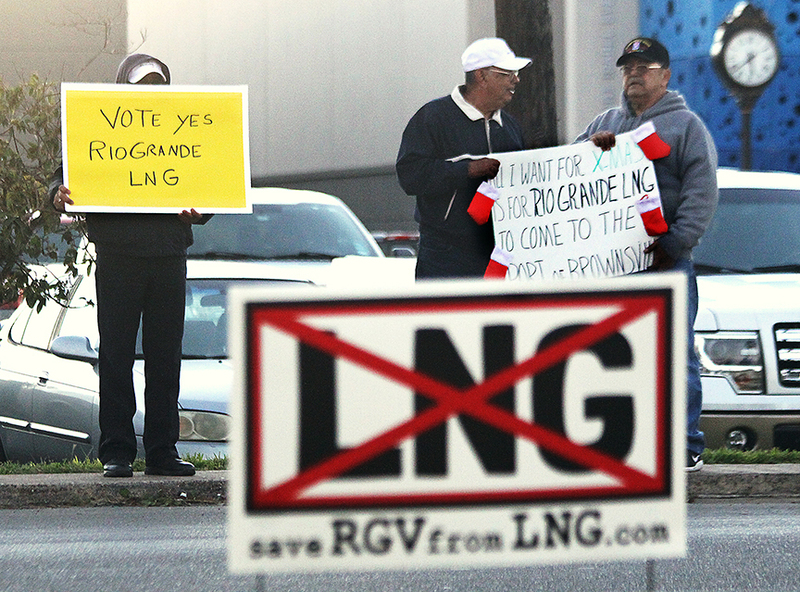 Just outside the PIECC, members of the LNG opposition group, Save RGV from LNG could be seen holding signs bearing slogans against the facilities. 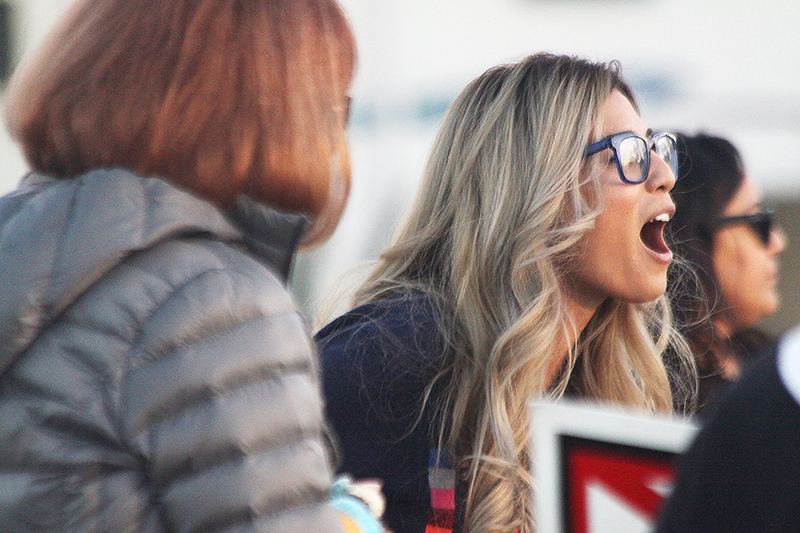 Protestors took turns, alternately, at a microphone or with a bullhorn, describing why they were against the proposed facilities. 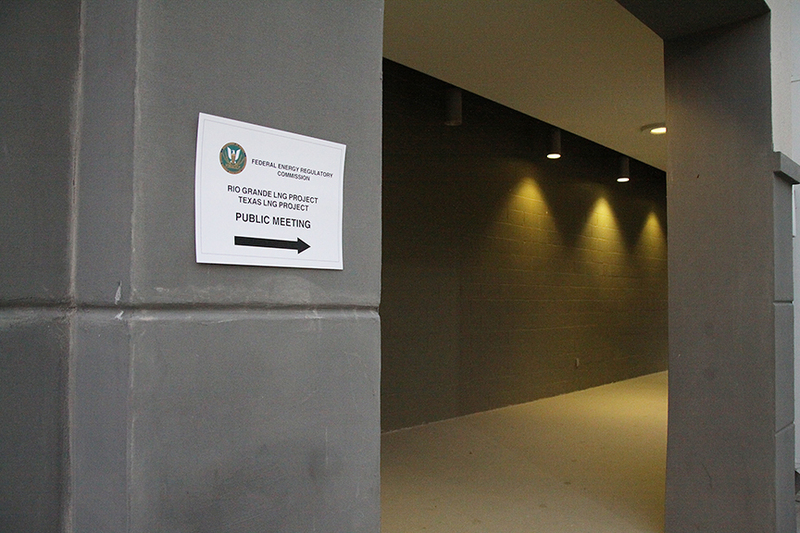 Approximately two dozen anti-LNG protestors stood outside the PIECC for the duration of the commenting session — three hours. 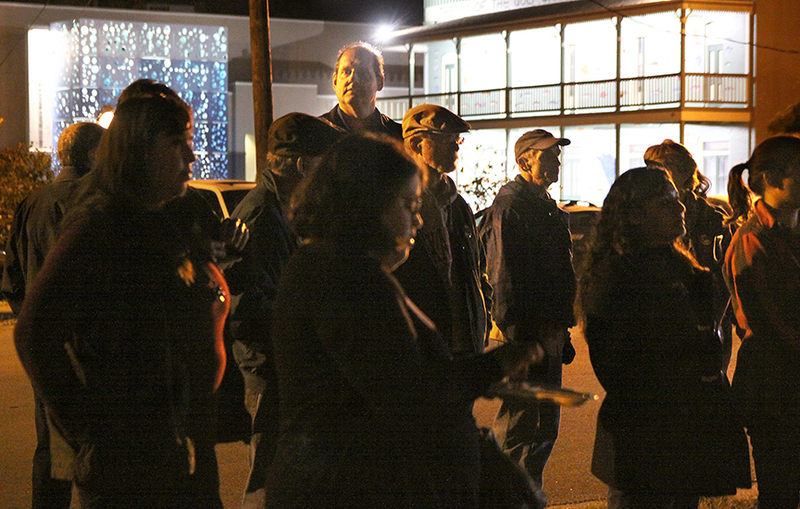 They shared hot chocolate, cookies, juice and boiled Gulf shrimp while people took their turns to speak. Facing the protestors across the street were a small group of counter-protestors. 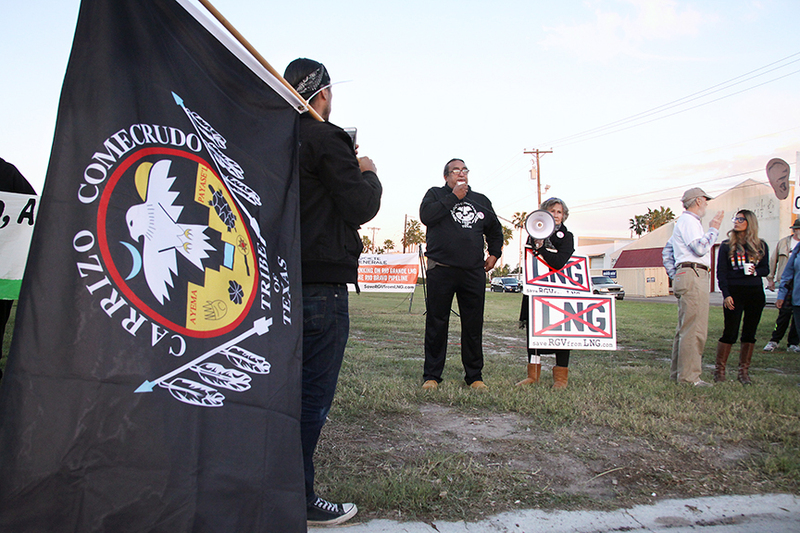 A group of approximately 10 people, each bearing a white baseball cap with the Rio Grande LNG logo, stood quietly. 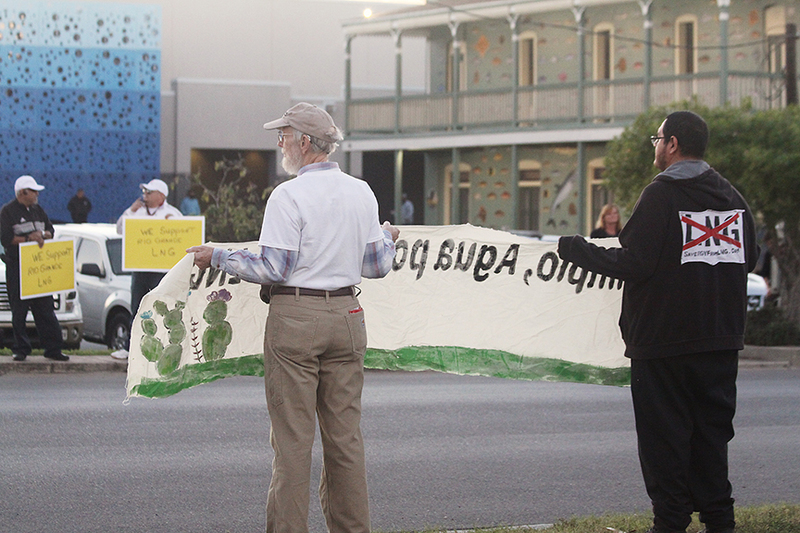 They, too, carried signs; however, theirs showed messages in support of the projects. 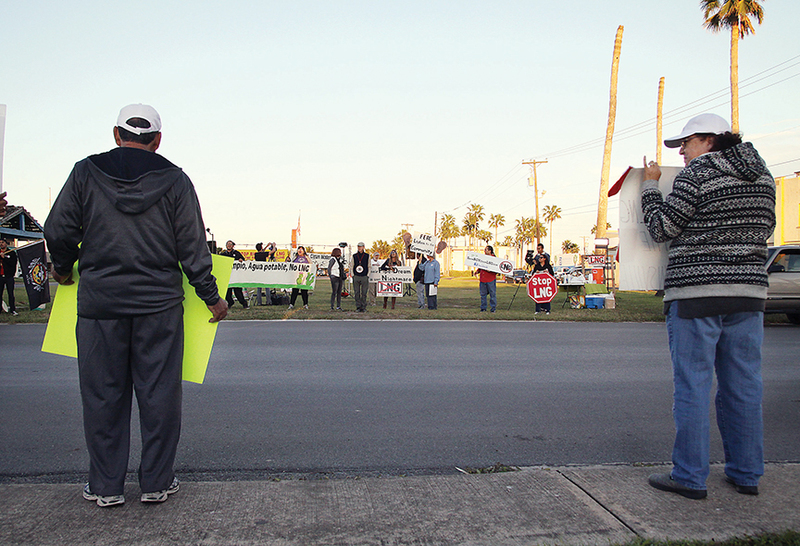 Interestingly CBS Channel 4 News reporter Stephen Sealey was told off camera that the Rio Grande LNG supporters “weren’t allowed to speak to media” (“Community members protest against Texas LNG projects,” Stephen Sealey, 11-16-2018, KGBT Channel 4 ValleyCentral.com, https://valleycentral.com/news/local/community-members-protest-against-texas-lng-projects). 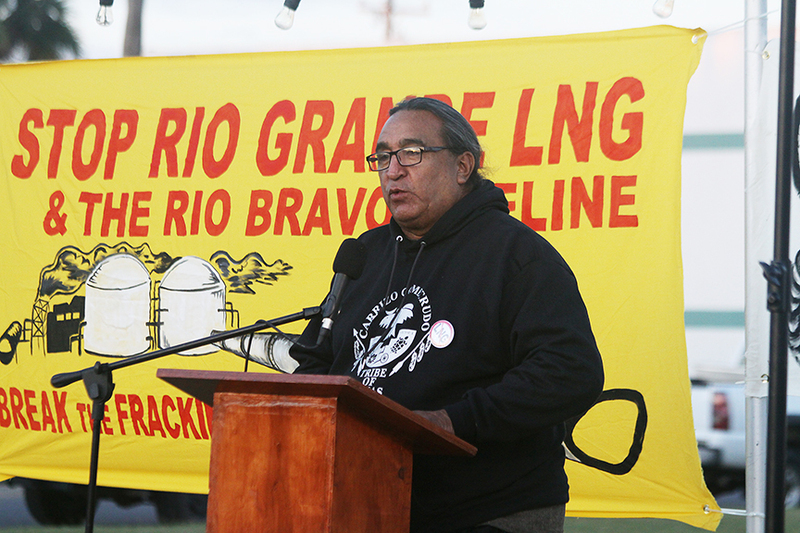 Today (11-30-2018) the Mayor of Houston and the Port of Brownsville both submitted letters to FERC in support of Rio Grande LNG. 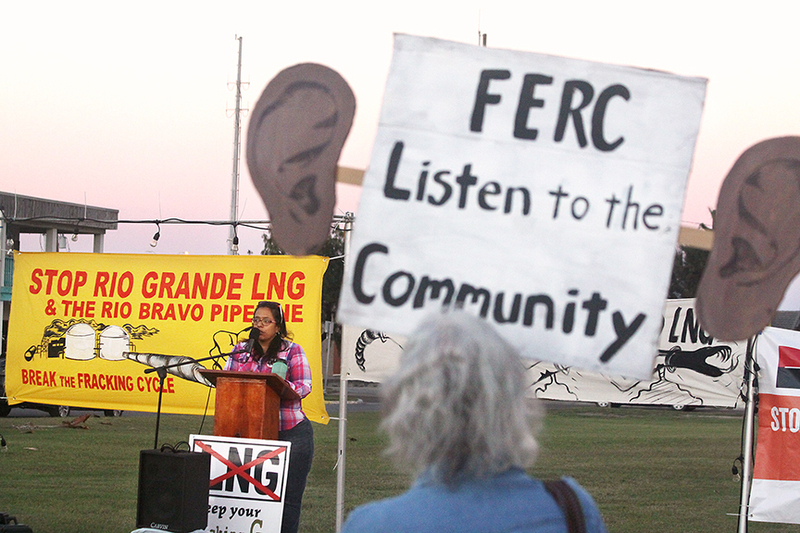 The FERC deadline for the final public comments on Rio Grande LNG is 12-03-2018 at 4:00 pm. 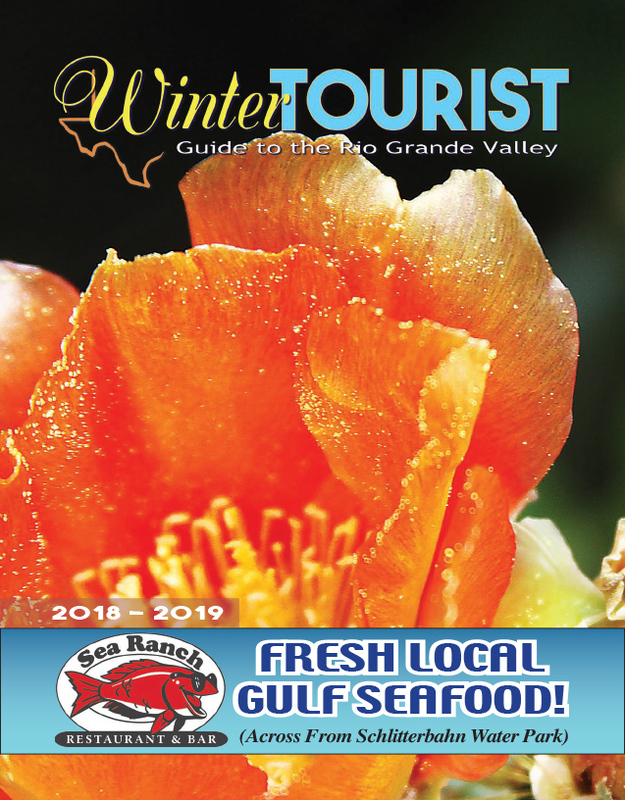 For information on the problems Rio Grande LNG will bring our way and a link where you can make a comment opposing Rio Grande LNG, go to the SAVE RGV from LNG website at http://www.savergvfromlng.com/. The deadline for making public comments to the US Army Corps of Engineers against Texas LNG is also 12-03-2018. 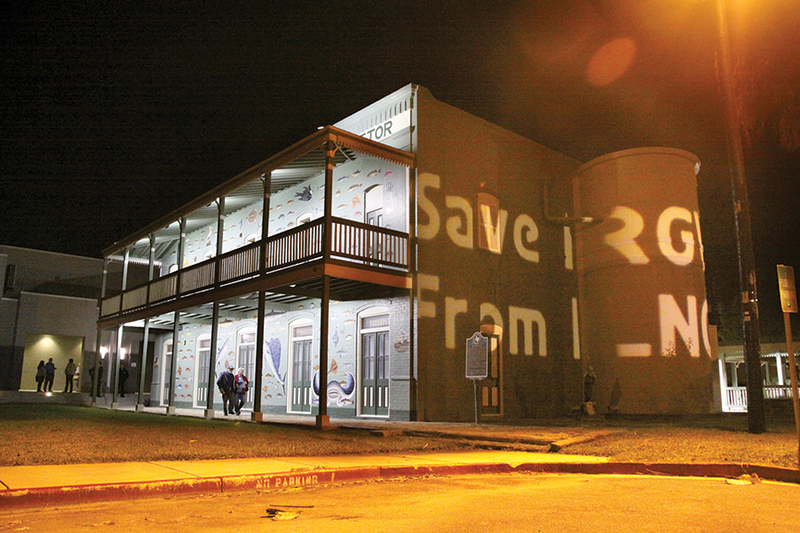 The SAVE RGV from LNG website also provides information and a link for those wishing to make comments against Texas LNG.